Do you believe in the human spirit? Not the willful determination of a person, but a non-material essence that resides within each of us. Sir Isaac Newton best describes the human spirit as vibrations, light, and heat; something that “cannot be explained in few words, nor…an accurate determination and demonstration of the laws by which this electric and elastic spirit operates”. Some people regard spirituality and religion as fiction, while others practice faiths and mindful exercises as part of a daily routine. No final consensus seems to exist on whether the soul exists after death or not, but the very belief itself could prevent a host of mental illnesses, including major depression. People think about spirituality in different ways. Some people believe that it is separate from religion, while others believe it is a connection to a higher being—God, Allah, Yahweh, the Buddha, Ganesha. Some believe that it is a connection to the matter around us—energy, vibrations, light. Many think of spirituality as experiences, both personal and collective. Whether someone’s spirituality means he or she attends mass every Sunday morning, or whether a person uses meditation to find inner peace, being spiritual can add meaning and depth to human existence. Belief in a spiritual worldview can also thicken the brain’s cortex. The findings of a recent Columbia University study suggest that being spiritual or religious may act as a barrier against depression, especially for people with a family history of the illness. Researchers evaluated MRI results of 103 adults with varying levels of depression risks, per family history. The results indicated that the participants, who valued religion or spirituality in their lives, had thicker cortices than participants who were not spiritual or religious. These results are significant, because the thicker regions occurred in the same regions that tend to be thinner in people at risk for depression. 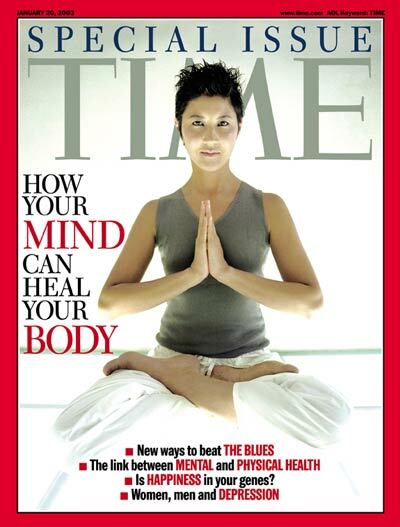 "The new study links this extremely large protective benefit of spirituality or religion to previous studies which identified large expanses of cortical thinning in specific regions of the brain in adult offspring of families at high risk for major depression," said Lisa Miller, professor and director of both Clinical Psychology and of the Spirituality Body Mind Institute at Teachers College, who led the study. The cerebral cortex, or cerebrum, is the outer layer of the brain—the wrinkled part. It is responsible for thoughts, actions, and other higher-level functions. It consists of nerve cells, and its wrinkles allow for flexibility and expansion of the brain’s surface area. Along with this expansion comes a greater amount of neurons and more efficient communication. Unique to mammals, the neocortex is the largest structure within the cerebral cortex and is responsible for most of our advanced information processing. Scientists believe that the neocortex is the most recently evolved part of the brain in more developed mammals. A great part of spirituality and religious practices is mindfulness. Mindfulness is concentration, awareness of the present state of being. Meditation is mindfulness, a narrowing of the consciousness. Some people practice yoga, mindful eating, and other centering exercises. People, who practice religion, meditate through prayer. While many believe that their deity (or deities) represent the one true path to salvation or enlightenment, scientific research highlights that no matter the religion of a person, believing is the key to enhanced mental health and well-being. A University of Missouri study has discovered great benefits to spirituality and religion, regardless of a person’s tradition. 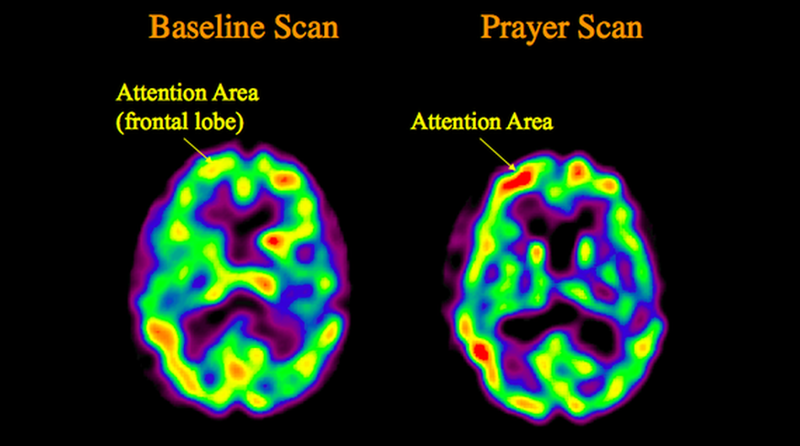 The researchers imply that faith is a determining factor for many people’s recovery from a variety of illnesses, including cancer, strokes, and traumatic brain injuries. Overall, people who practiced a faith demonstrated better mental health, “specifically lower levels of neuroticism and greater extraversion”. Most intriguing is that forgiveness, as a spiritual trait, was a predictor of mental wellness, aside from personality traits. The MU study’s lead researcher, Dan Cohen, assistant teaching professor of religious studies, indicates that religion and spirituality can act as a coping mechanism, as well as alter a person’s perspectives. "With increased spirituality people reduce their sense of self and feel a greater sense of oneness and connectedness with the rest of the universe,” remarked Cohen. And it isn’t the amount of participation that matters, but rather the belief in something greater than the individual that improves mental health. The Negative Effects of Religion? Cohen also believes that health workers can utilize this knowledge to help patients curtail the negative effects of religion and spirituality. Instead of focusing on “a divine curse” to explain negative experiences, people should focus on the positive aspects of spirituality and religion—a connection beyond ourselves that can bring us peace. Beyond religious practice, people may seek other contemplative practices to restructure their lives. Whether you are at risk for depression or currently suffer from depressive symptoms, mindful practices have multiple benefits. Yoga, mindful eating or walking, chanting, journaling, pilgrimage, meditation, and many other contemplative practices can provide physical and emotional protection from stress and illness. Being in tune with yourself, and connecting with others through a sense of belonging, can add value to your life.